Leap2fly will bring you a unique MTB retreat in Durango, Colorado focusing on encouraging and empowering women on and off the bike. Each day will incorporate mountain biking and evening activities/discussions. We will bike out of the lodge to kick to retreat off with a skills clinic at Purgatory Resort. Day one skills clinic is where you will progress your riding and develop a deeper understanding of the sport and how it relates to life. Our coaches and guides will be with us throughout the weekend of riding epic Durango single track and surrounding breathtaking mountains. 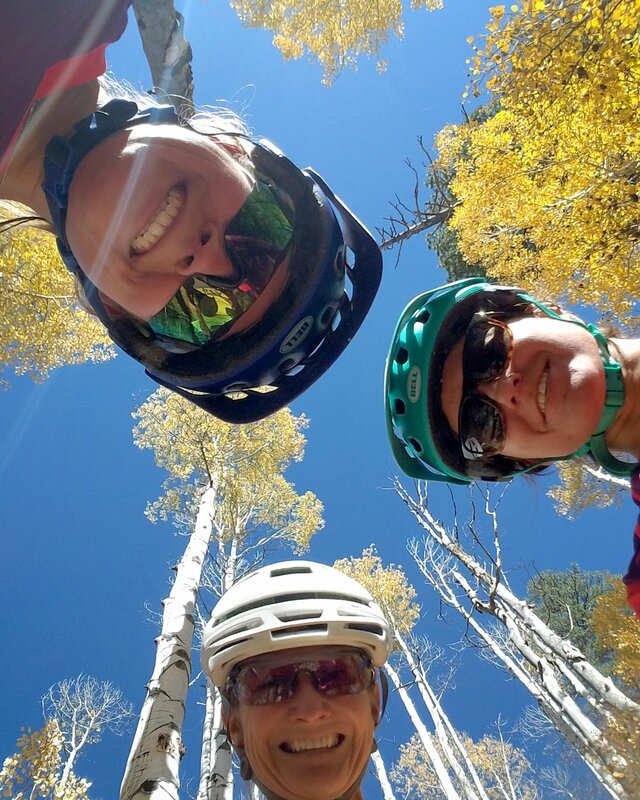 On Saturday we will do a fun group ride with skills work as needed near Durango and on Sunday we will dig deep individually while surrounded by the support of your fellow lady shredders as we experience a big day in the saddle on a high alpine ride together. In biking and life we encounter obstacles, have to face fear, have to choose a path, and must ultimately take a leap to fly on our bikes as well as life. Life is short and is meant to be lived to the fullest. Adventuring through life and on two wheels is a freeing and fun ride filled with stoke and laughter as we are meant to love our life and those in our life while not losing sight of our childish wonder in the midst of life's stresses. While at times the path is challenging and down right painful, but with the right foundation and tools, by embracing the process of learning and growing along the way, by keeping perspective, and surrounding yourself with support, you can overcome any mountain you face on or off the bike. Christian, founder of Leap2fly and fellow coaches and guides are looking forward to a fun weekend filled with growth while they encourage and support you in reaching your full potential on and off the bike.